A recent study conducted by the people from the University of Haifa found that the children, who were breastfed during the infancy, had a much lower risk of developing leukemia. The same study suggests that this disease is easily preventable. The researchers assume that between 14 and 19 percent of leukemia cases among children could be prevented via breastfeeding! Surely, a lot more research needs to be done on this subject. However, there are a couple other health issues for which breastfeeding may be a way of prevention. One of those diseases is diabetes. The study researching the link between breastfeeding and reduced risk of leukemia is not the only research done on this matter. Many studies were done to confirm the link between feeding the newborns with mother’s milk and lower rates of diabetes. In fact, the risk of developing this disease is between 30 and 40 percent lower among those kids who had been feed mother’s milk during the first few months of their lives. The logic behind this claim is that the mother’s milk does not contain β-lactoglobulin, a substance commonly found in cow’s milk. This substance is responsible for triggering an autoimmune response of the pancreas, which, in turn, results in problems with regulating levels of blood sugar. Nature knows best – human breast milk contains all the nutrients the baby needs for the proper development during the first half a year. But, being highly nutritious does not mean that breast milk will make the baby fat. On the contrary! That is something that can happen if you start feeding your baby jarred foods and solid meals too soon. Furthermore, feeding your baby solid foods before it’s the right time can lead to developing bad eating habits. Furthermore, some studies have shown that feeding the baby breast milk for the first 6 months of the life will reduce the risk of obesity by as much as 30 percent. According to the American Medical Association, breastfeeding can help lower the risk of nearsightedness. Although it’s not yet confirmed why this is the case, the epidemiologist Richard Stone from the University of Pennsylvania believes that the cause lies in the fatty acid called DHA. According to him, this fatty acid is crucial for proper eye development. Mother’s milk is full of DHA, while this substance is found only in traces in other food sources, including formula. The human body fights off dangerous infections with the help of the immune system. The immunity of the child is directly influenced by the immunity of the mother. By drinking mother’s milk, the baby gets a supply of the antibodies whose purpose is to stimulate its immune system. Because of that, it is not a surprise that the kids who were breastfed had a lower risk of developing serious problems with infections. Furthermore, there are many proofs that mother’s milk also contains certain antigens that act as a protection against a number of common viruses. What this means is that the infant is safe from infections as long as it’s fed mother’s milk. So, Does All This Mean that Breastfeeding is Better than Formula? Well, no one can say for sure whether the mother’s milk is really that much better than formula. 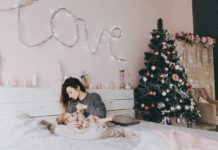 Both methods for feeding the baby have their pros and cons, so before you need to think it through before making the final choice. Our advice is to learn about the subject as much as possible, something which you can do by reading the articles at babycarementor.com. Previous articleWhat to Do If Potty Training is Not Very Effective? Next articleCan Modern Technology Have a Good Influence on Preschool Activities of Your Kid?